Where to Buy : PepperTraders.com, West Texas Pepper Traders, Inc.
Frank's Meat Market - Affiliated Foods, Inc.
Click above link for additional Affiliated Foods member store locations. We should be available in most all stores. If you find it's not available in a store, ask the grocery manager to order item #44021 for Bread 'N' Butter Jalapeno, #46021 for Relish, and #47021 for Onions. Venture Foods - Affiliated Foods, Inc.
Click above link for store locations. 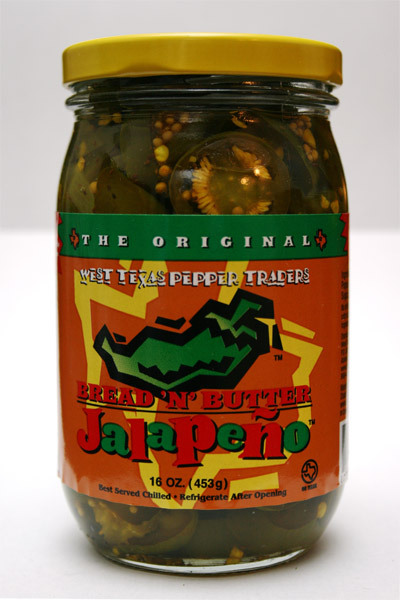 Makers of wonderful cheeses made with our famous Bread 'N' Butter Jalapeno peppers! Dale's Thriftway - Affiliated Foods, Inc.
Click above link for additional Affiliated Foods member store locations. We should be available in most all stores except for Allsups. If you find it's not available in a store, ask the grocery manager to order item #44021 for Bread 'N' Butter Jalapeno, #46021 for Relish, and #47021 for Onions. Discount Foods - Affiliated Foods, Inc.
Click above link for additional store locations. Click the link above for store locations.